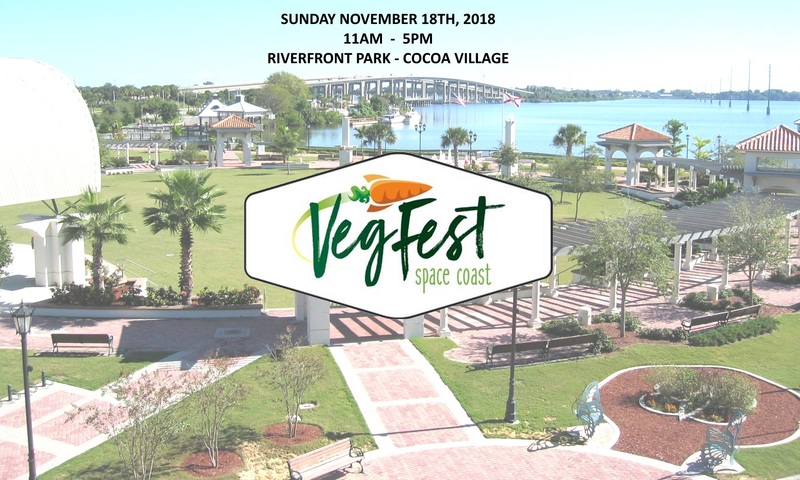 2018 SPACE COAST VEG FEST & ENVIRONMENTAL EDUCATION EVENT. 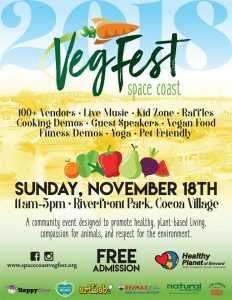 The fourth annual Space Coast Veg Fest was a spectacular success. An estimated 10,000 people filled Riverfront park to capacity and were treated to an abundance of creative and delicious vegan food. Visitors were entertained with music, yoga and a kid zone, educated and informed by an array of non-profits and speakers, were delighted by beautiful artistic creations and crafts, and were encouraged to indulge themselves by shopping for one of a kind clothing, and natural environmentally friendly products.